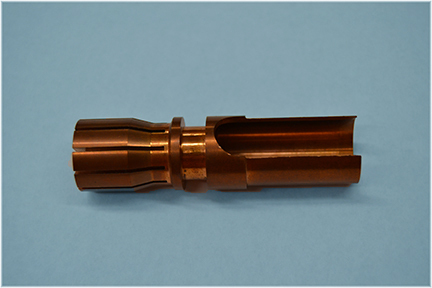 We manufacture custom machine parts to the specifications that you demand with the quality that you deserve. From vision to creation, we precision machine parts of all types to the precise accuracy your specifications demand. We utilize a variety of sliding head stock automatic Swiss screw machines, CNC turning center, CNC milling centers, center less grinding and thread rolling capabilities to meet this objective. CSM was founded in the 1960's and has grown into one of the largest screw machine houses in the Rocky Mountain West. Our 25 craftsmen have been a part of the CSM team for an average of 20 years. We offer our customers the precision of high speed automatic production. Components can be completely machined in one setup. Our ability to provide this caliber of service comes from the skill and experience of our manufacturing team. For your prototype and production requirements, high quality and speed is our priority. We are ISO 9001:2008 registered. One-stop shopping includes outside processing (heat treating, plating, etc.) and provide our customers with Kanban and JIT deliveries.